Top 10 new ideas for 2019! As the year draws to a close, companies are starting to plan for 2019. 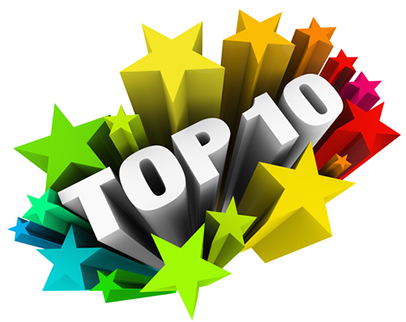 We are often asked for our top 10 recommendations for the year ahead. It’s never an easy question to answer but we’ve put together a list of new ideas that we’ve been nurturing. We hope you’ll join us for seminars and webinars designed to support the breadth of your workforce. Avoiding the ravages of age: keeping healthy from mid-life onwards. Nutritional wellness days. Short one to one appointments for people to have their ‘Body Composition’ analysed and to plan a food diary. Cookery Demos. We are now offering two demos, a ‘Breakfasts’ and a ‘Quick and easy packed meals’ – either for lunch or a healthy alternative for people who know they are going to be working late. At the moment, breakfast recipes include; A Healthy Smoothie, Chia Pudding, Almond and Banana Muffins and Cheesy Flapjacks. Attendees also get a booklet of breakfast recipes to try at home. Balancing Work With Being A Carer. Looking at the different aspects of work and being a carer. What are your rights, as an employee? When can you take time off, or change your hours, or have extended leave? How might we talk about your caring role at work? 101 ideas for supporting your child’s development. Fun practical ideas for maximising your child’s potential through play. Understand your child’s developmental needs at different ages and tool up with fun activities to boost your child’s development. Building resilience in children to cope with the demands of the school curriculum. Specifically coping with school and exam stress as it is now such a large part of the curriculum. Menopause. Supporting your hormones and mood from peri to post menopause. Body image and identity. Looking at this less-spoken about area of mental wellbeing.